High blood pressure is a common condition that affects more than 25 per cent of all adults in the UK. The condition, which is also known as hypertension, could be caused by eating an unhealthy diet, or by not doing enough exercise. Diagnosing the condition early is vital, as it raises the risk of some deadly complications, including heart attacks and strokes. But you could lower your chances of high blood pressure by regularly taking magnesium supplements, it’s been claimed. Magnesium helps to regulate your blood pressure bye relaxing blood vessels, revealed Harvard Medical School. Not getting enough magnesium in your diet could lead to constricted blood vessels, and therefore high blood pressure. For the best anti-hypertensive effects, choose a magnesium l-threonate supplement to top up on magnesium, added Dr Joseph Mercola. 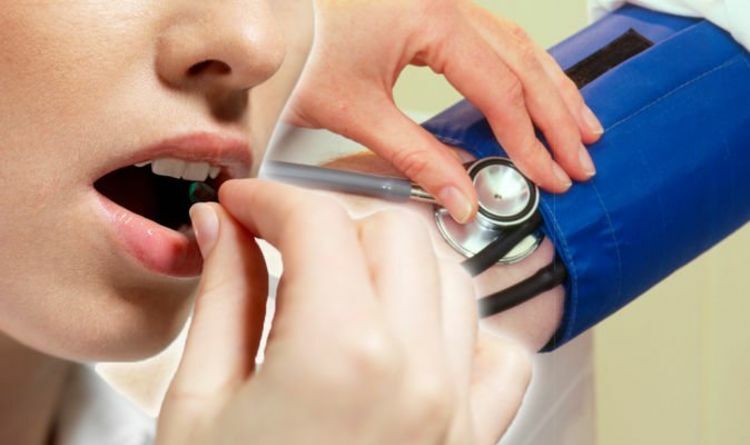 “Along with an active lifestyle and healthy dietary habits, supplements may help reduce your high blood pressure levels safely and naturally,” said the physician. “Magnesium deficiency due to insulin resistance is one of the causes behind constricted blood vessels, which in turn leads to hypertension. “To help your blood vessels relax and dilate, you should maintain optimum magnesium levels. “If you’re planning to take a magnesium supplement, go for magnesium l-threonate, since it’s formulated for maximum absorption and it doesn’t have laxative properties. But you should be able to top up on magnesium from your diet, without needing a supplement, said Harvard Medical School. The best sources of magnesium include dark leafy vegetables, unrefined grains, and legumes. Taking too much magnesium from a supplement could lead to diarrhoea, but there aren’t any known side effects of eating too much magnesium. You could also lower your blood pressure by making sure you eat a healthy, balanced diet, and by doing regular exercise. High blood pressure is often known as ‘the silent killer’, because you may not even know you have it. Hypertension symptoms only tend to reveal themselves if you have extremely high blood pressure. Common high blood pressure symptoms include severe headaches, having a pounding in the chest, and finding blood in your urine.